Have you been endlessly wondering what Emma Watson’s singing actually sounds like? Have you been terrified about whether she has the vocal credentials to take on the iconic role as Disney’s Belle? Well panic no more friends, as the first clip of Watson singing in Beauty and the Beast has emerged. With the release of the new live-action adaptation fast approaching, Disney have begun to wheel out merchandise for the film, including singing dolls. It is courtesy of one of these dolls on a Toys ‘R’ Us shelf that fans have been able to get their first taste of Watson as Belle. Shared by a fan via Instagram, and subsequently reposted by one of the film’s producers, the short clip plays the doll, with Emma Watson’s voice singing an excerpt from ‘Something There’. This is the first non-instrumental part of the soundtrack to have been released as of yet. 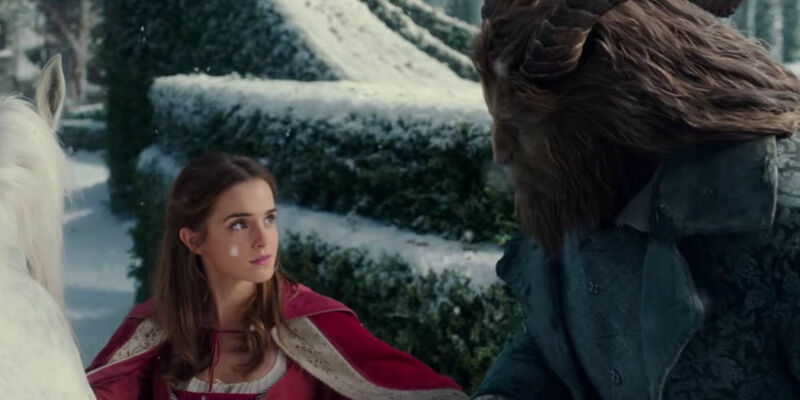 The film, a live-action remake of the 1992 Disney classic, is directed by Bill Condon, and as well as Watson, its cast boasts the likes of Dan Stevens, Luke Evans, Kevin Kline, Ewan McGregor, Emma Thompson and Sir Ian Mckellen. The film’s soundtrack, like its animated original, has been composed by Alan Menken. As well as songs from the original film and Broadway production, Menken has also penned some wholly original tracks, such as ‘For Evermore’, ‘Our Song Lives On’ and ‘Days in the Sun’. Film and English student. Lover of YA novels, Netflixing, fluffy blankets, all things Musical Theatre and modern Shakespeare adaptations. Life goals include writing a novel and being best friends with Emma Stone. Deputy Editor 2017/18 - or so they tell me.